St Herbert's Island – Keswick Launch Co.
St Herbert’s is the largest of the islands, covering between four and five acres and named after the saint of the same name who brought Christianity to the area in 685 AD. St Herbert used the island as an hermitage. After his death, it became a place of pilgrimage, and St. Herbert’s cell can still be identified amongst the undergrowth. St Herbert’s is also the inspiration for the fictional Owl Island in Beatrix Potter’s ‘The Tale of Squirrel Nutkin’, so be sure to keep your eyes open for any little rafts pulled up along the shore! 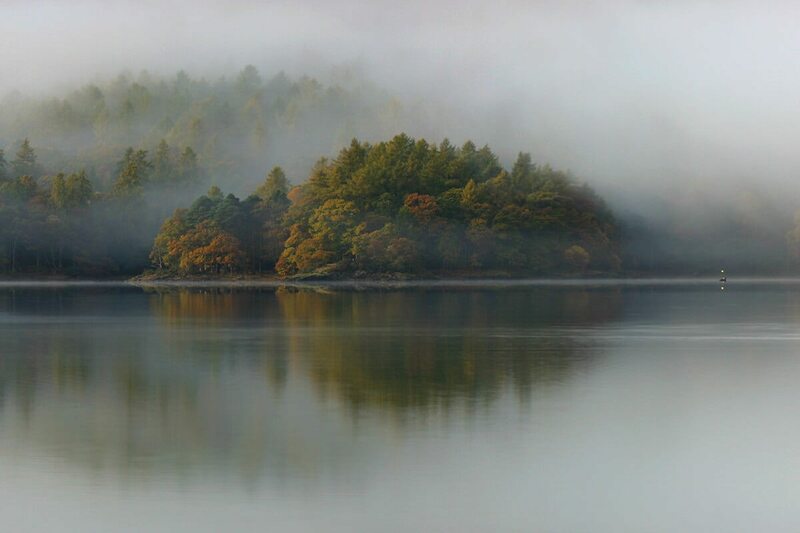 Derwentwater and St. Herbert’s Island was also used as a filming location for the 1974 and 2016 Swallows and Amazons films. Apart from Derwent Island, which is a private residence, boat users are welcome to land on the islands. Use our boat hire to land on the shoreline and explore. Lord's Island was once the residence of the Earls of Derwentwater. The smallest of the four islands and named for the garlic that grows there.